Lean Optimizer is powerful, all natural weight loss supplement that can lead you to the way of success. Dahn Yoga – What is it & what are its benefits? This Dahn yoga is a Korean system of yoga founded by Ilchi Lee, which is practiced by millions of yoga centers and schools all around the world. It’s very easy to learn as it involves light stretching, postures and meditation. Dahn yoga integrates the principles of Korean Oriental Medicine and mainly focuses on increasing the core strength of your body. Equally, works great at improving your physical, mental and spiritual health. Lowers depression and anxiety troubles. Helps you lose weight effectively. Also, helps you gain control over your emotions. This is an important step in Dahn Yoga, which includes some tapping, abdominal exercises and stretches. All these help at releasing tension from your body and prepare you well for the workout. After warming up. Now, it’s time that you start with some basic exercises like stretching, joint rotation, and twisting. These methods can enhance your blood circulation and improve your body weight. First, stand erect keeping your back straight. Then keep your shoulder width apart and leave your arms swinging loosely at your sides. In this step, relax your body. Bounce from your knees and feel the rhythm in your entire body. Stay tuned in this pose for some time. Next, raise your hands and reach up to your head and tap the top of it softly with your fingertips. Then, tap the back of your head, forehead, crown of the head, forehead and the entire face. Now move on to your arms and shoulders. Tap on both the right and left side and do it on the stomach, chest, knees, thighs, calf muscles and ankles. After this, inhale and exhale deeply and keep on practicing them for around 5 minutes. This will enhance the blood flow in your body. Well, breathing is an important aspect of Dahn Yoga. It helps you deal with anxiety and soothes your mind and body. At the same time, it’s a natural way to heal from various disorders. Initially, breathe in deeply, then pause and breathe out deeply. During this process, you must feel the air filling your lungs and emptying it (while you inhale and exhale). You can also go to pranayama. Meditation has many interesting benefits as it makes individual feel calmer and happier in life. Just sit down, close your eyes, keep on breathing and observe your breathing. Don’t react to your thoughts and let them keep on flowing till calmness embraces you. After meditation, it is important you cool down. For this, you need to undergo some stretching exercises (Bhujangasana or Cobra poses). This will provide an overall wellness and help you deal with common health troubles. Keep your palms near your chest and your feet together. Next, raise your head, neck, and torso off the floor by uplifting your arms, keeping the pressure in your palms. After this, straighten your shoulders and push your head back. Remain in this pose for 10 to 15 seconds and relax. This session gives you free time to socialize with your companions and other practitioners. It gives plenty of time to have a good conversation with the instructors and know everyone in your class. The technique is mostly practiced in East Asia. It is one of the popular aspects of Dahn Yoga. Here, you will come across the martial art designed for self-defense. But there are several health benefits associated, as it works well for the overall wellbeing and spirituality. Besides, practicing this technique can also boost the strength of your body. Dahn yoga practice involves Korean style power yoga that rejuvenates your body giving more energy. You can go for poses like Paad Paschimottanasana. For Paschimottanasana you need to sit straight on the ground, stretching out your legs in front. Keep both your legs together. Now, in this step, breathe in and bend your torso in the direction of your thighs and reach your fingers to your toes. Stay in this pose for few seconds and then release. 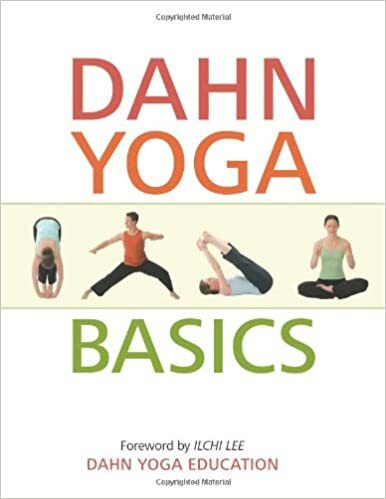 Overall, there are 4 stars out of 5 rated for these Dahn Yoga DVD. Most of them are saying, the beginner’s videos are excellent, giving detailed info on every major aspect. Further, look into the reviews for more better understanding.